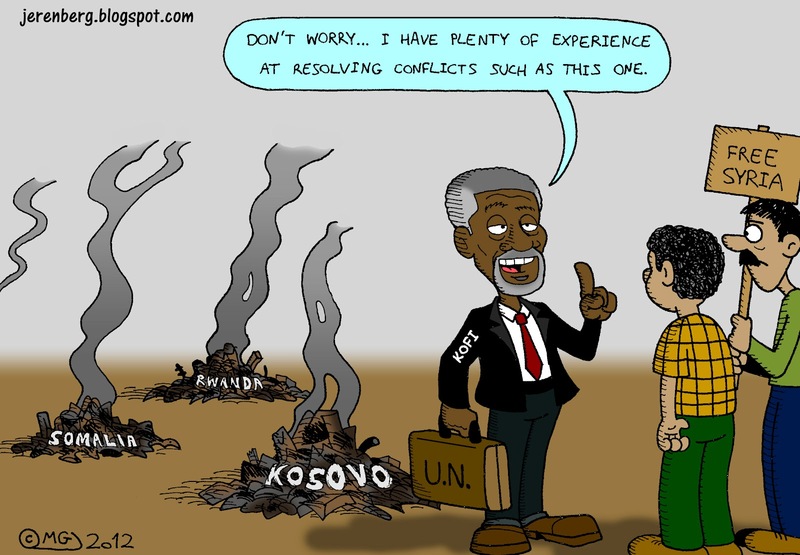 Ah, good old Kofi Annan. If your situation looks bad, don't worry: he'll find a way to make it worse. The current UN-Arab League special envoy to Syria, Annan and other UN Secretary Generals before him presided over such memorable "peacekeeping" cluster****s as the Rwandan Civil War, the Somalia Civil War, and the Kosovo conflict.